Tires are the only connection between your vehicle and the road’s surface, so they’re a critical aspect of your car’s safety. When you think of the safety features in your vehicle, you might think of innovative new additions like blind spot monitoring or automatic emergency braking, but tires are part of that safety system as well. It’s very important to maintain your tires and make sure they have enough traction to keep you and your passengers safe, as well as others on the road around you. Buying new tires for your car or truck is a great investment into the safety of your vehicle. New tires provide more tread that makes it easier to stop and start driving, as well as make turns safely. If you live in an area where snow and ice are common, having tires with good tread condition is an absolute must for safe driving. New tires also improve the performance of your vehicle and will help you get better gas mileage, which will save you a lot of money over the life of the tires. Along with having tires in good condition, you need to keep them properly inflated, rotated, and balanced to get the best gas mileage. 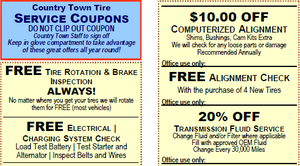 At Country Town Tire & Auto Service Center, we are full-service tire dealers. We have locations in Hickory, Bristol, Lincolnton, Morganton, and Taylorsville, North Carolina, so we make it easy for you to get in and out of our shops with your new tires. 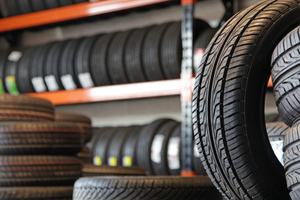 Our tire dealers carry a wide variety of the top brands, including Goodyear, Michelin, Doral, Firestone, Bridgestone, and more. We have tires in all sizes, which means you can come in to shop instead of having to wait for tires to be ordered and installed. You can stop in and talk with our tire dealers about what options will be the best fit for your vehicle, or you can check out our online tire finder. After you have your new tires installed, make sure to keep up with the important maintenance tasks. Regular tire rotations ensure more even wear of the rubber, which can extend the life and reduce the risk of blowouts. Wheel balancing can also limit the issue of excessive lean, which can make your vehicle pull to one side or the other as you’re driving down a straight road. Check the pressure of your tires regularly, as overinflated and underinflated tires can cause issues, as well. When your tires are properly inflated and well cared-for, they will have proper traction, reduced tread movement, load carrying capabilities, reduced rolling resistance, and longer tread life. The condition of your tires can also impact fuel economy. In addition to providing high-quality tires to residents of Hickory and surrounding areas, we also give great customer service to every client who comes into our shop. If you have questions about options, don’t hesitate to talk to one of our tire dealers. Come see us today to learn more about the benefits that new tires offer to your vehicle.